By the late 1960s, Ford was in need of a high-performance GT sports car to compete against other manufacturers such as Ferrari and Corvette. The GT40 racing programme had been successful, but the GT40 could not be turned into a road going mass production sports car. 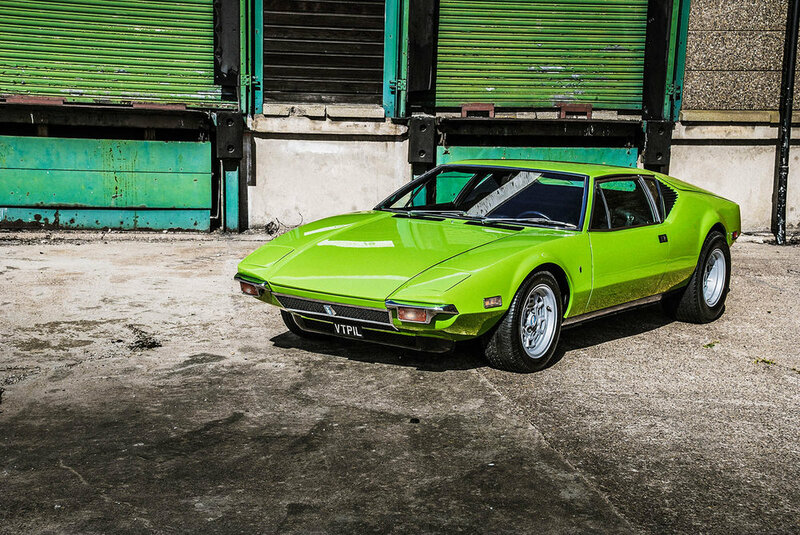 De Tomaso also had designs on developing a new GT that would appeal to the Americans; a mid-engined exotic-looking vehicle, but with a lower price tag that he could sell in higher numbers. Following Ford's failed attempt to buy out Ferrari; and De Tomaso Automobili's purchase of Ghia's studios and coaching-building concern; a Ford-De Tomaso marriage seemed a natural fit. Work began to develop a brand-new design concept: a mass-produced exotic, combining the muscle power of the American V8 with Italian flair and styling. Tom Tjaarda of Ghia styled the new prototype and Giam Paolo Dallara was engaged for the chassis and production design. The Pantera’s layout differed from the Mangusta in several ways. Firstly, it was conceived with a full monocoque chassis layout, making it less expensive to produce than the spine chassis design. Secondly, it was built using Ford’s new 5.8 litre "Cleveland" V-8. The new V-8 was in the same relative position, but was set higher in the car, in part due to the ZF fully synchronised 5-speed transmission having been rotated through 180 degrees. It had race-inspired fully independent suspension with upper and lower A-Arms, coil-over shock absorbers, front and rear sway bars, four-wheel disc brakes, cast magnesium Campagnolo wheels and rack-and-pinion steering. The brake booster, master cylinder, battery and tool kit were housed in the front compartment and the rear compartment boasted a sizeable, removable luggage tray for easy access to the engine. The interior featured an aggressive cockpit design, full instrumentation, factory air conditioning and electric windows. The Pantera debuted in Modena, March 1970 and was presented at the New York Motor Show a few weeks later. 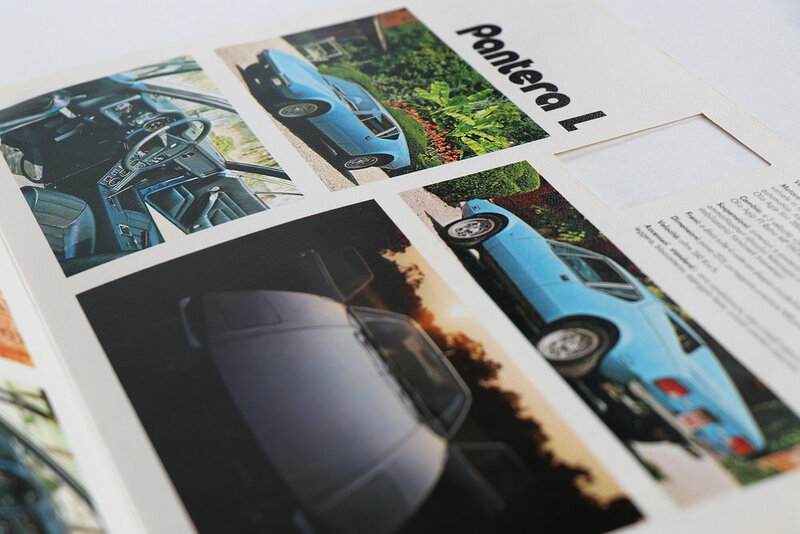 The first Panteras rolled off the production line in 1971 and by the end of 1972, demand was such that over 3000 vehicles had been sold. 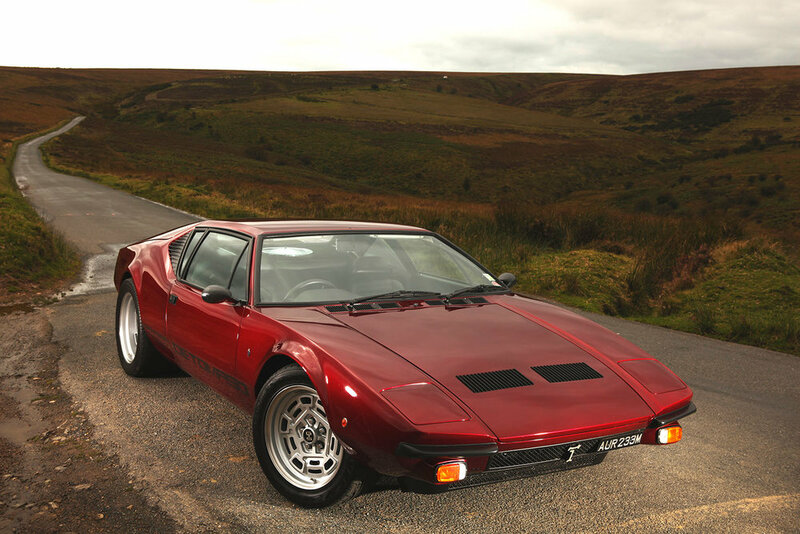 Unlike previous De Tomaso models, which had suffered from the absence of continued investment, the Pantera went through a series of development stages. The cars produced in 1971 were a narrow bodied, sleek, almost dart-like shape. The very first 'pre-assembly line' cars had hand-built Carrozzeria Vignale bodies and 'push button' door handles, a design feature which was replaced on later vehicles. Initially, there were problems identified with quality control on the bodywork, however once Ford became involved in production, precision stamping for the body panels significantly boosted quality in the process. The new Pantera L boasted new features, including seat belt warning lights and buzzers, improved cooling and air conditioning systems and other enhancements. Developments continued with a revised dashboard and instrument layout. Importantly, for the American market, the new version employed a large black single front bumper with built-in aerofoil, among other upgrades and improvements.